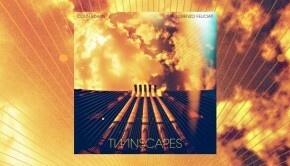 In 2014 my colleague Roger Trenwith, here at TPA, covered the collaborative Twinscapes release from multi instrumentalist, composer and arranger Lorenzo Feliciati along with Porcupine Tree bass man Colin Edwin. 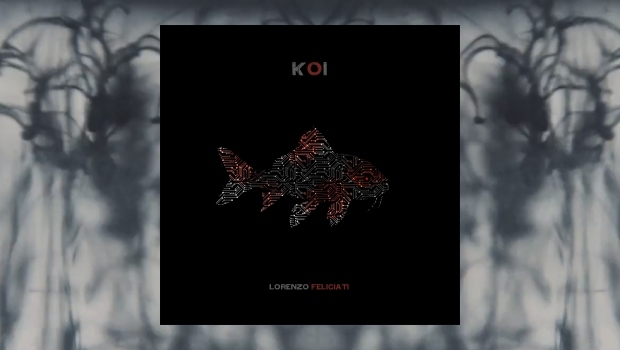 An absorbing album on many levels, so when a new concept album from Lorenzo Feliciati was announced earlier this year it was certainly on the “must follow-up” list. For this, his second solo release, Feliciati is joined by keys man Alessandro Gwis and former Japan drummer Steve Jansen. The drumming is bolstered by current King Crimson sticks man Pat Mastelotto, (on track six), along with several guest brass musicians across the album. The concept, as the title implies, is based around the life cycle of a particular member of the carp family and, as legend has it, told over many centuries through Chinese folklore. Koi is a solely instrumental album and it is left to the imagination as to how the music portrays the fishes’ changes of fortune. Oddly enough, lights turned off and headphones on, this continually evolving album captures the inferred journey rather well. The album opens with the brief, atmospheric Kohaku with acoustic piano, drenched in delay and a resounding bowed-string instrument. The setting is tranquil and certainly could have gone on much longer for me, however it doesn’t and segues neatly into the brass-punctuated, groovingly catchy New House, before dissolving into the desolate soundscapes of Kumonryu. Koi features several brief bridging pieces which serve as stepping stones between the longer tunes. So rising from Kumonryu is the disturbing Oxbow, which not only encompasses the ambience of the previous track, but continually develops – twisting and moving in some peculiar directions. Particularly enjoyable here is the somewhat mangled, lounge-jazz piano and accompanying dissonant brass that pokes through the percussive sonic landscape. Intriguing and captivating. 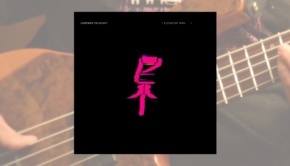 As with the album’s opener we return to the effect laden piano for Black Kumonryu, this time adorned with tuned percussive flavours from the far East, before seamless linking into Noir Alley Verdigris. Again the emphasis remains on the atmosphere with Pat Mastelotto offering a subdued ticking pulse allowing Feliciati’s growling fretless to glide across. With a multitude of subtle layers of sounds, the track grows in intensity and with the anticipation of a grand finale. Not so and the introduction of the muted saxophone takes the music way down. It’s just wonderful to be able to feel and enjoy the space created. The final linking passage demonstrates the huge benefit from careful track sequencing, with the bass guitar forming the bond between the pieces. Now it would be sad to think our mighty carp had endured such trials and tribulations to end in such a place – however this Fish Bowl seems to be a great place to be. Rhythmically upbeat with the brass and distorted instrumentation creating a joyous Big Band party atmosphere. And as the party fades and finishes we are left with the title track to conclude the journey; a minimalistic amalgam of what has gone on before. 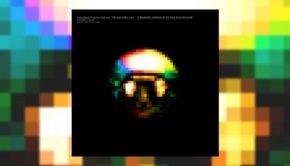 An impressive album that works not only as a continuous piece, but also separately. The strength of Koi lies in the interaction between the musicians and their ability to create strong music and coherent landscapes.